More than 100 years ago at Slagen, Vestfold a farmer had dug into a large burial mound. A few day later archeologists investigated the viking ship burial at the Oseberg farm. Along with the richly decorated vessel with beautiful animal ornamentation which was used as a burial ship for two women, a number of other exceptional burial gifts had been excavated of which the five exquisitely carved animal heads perhaps are the most famous viking-era finds. As promised in 2013 after release of the Valkyrie, Faerybeads finally added the Oseberg Viking bead. 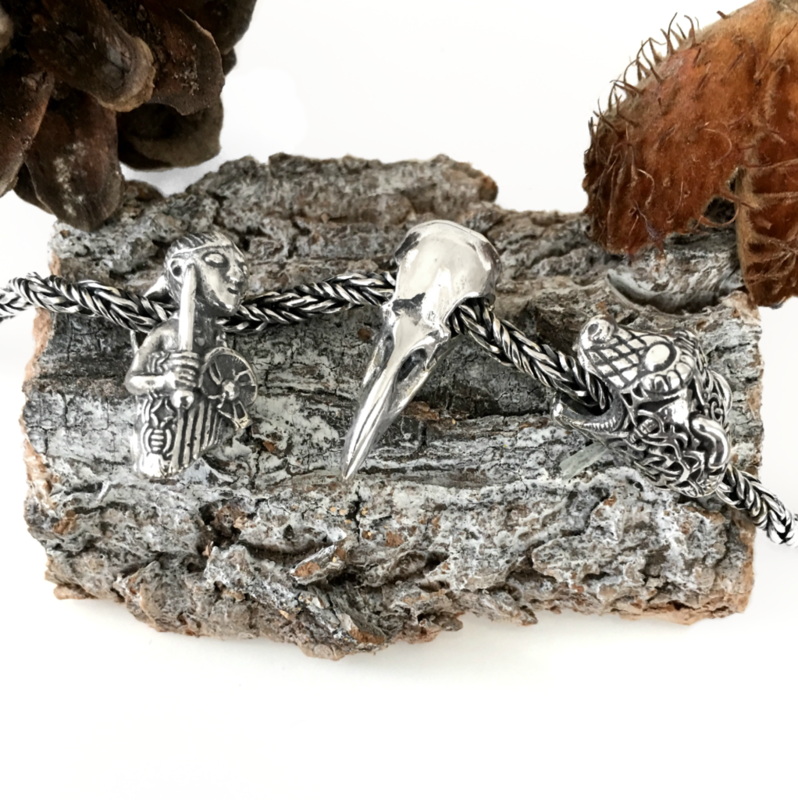 And together with the Valkyrie and Raven Skull beads/pendants. Oh wow, they're all wonderful. Love, love, love my Fairybeads Valkyrie!!! 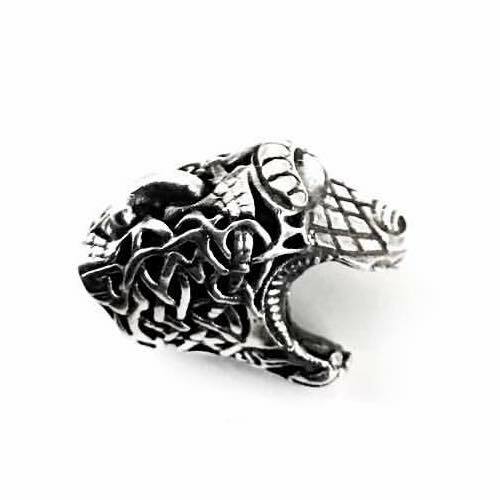 Now, this exceptional bead will be high on my wishlist (x2).